Paper Issues had their first online crop this weekend. It was an epic two days of 24 challenges. While the actual crop is over, you still have until March 29th to submit your projects to the challenges. There is a prize for every challenge, including a four month spot on the Paper Issues design team. I'm hoping to get a few more layouts done, but I was able to complete 7 of the challenges. One layout was for my challenge and a few more I was able to get completed before the crop. I'm definitely not fast enough of a scrapper to get 7 layouts done in a weekend! 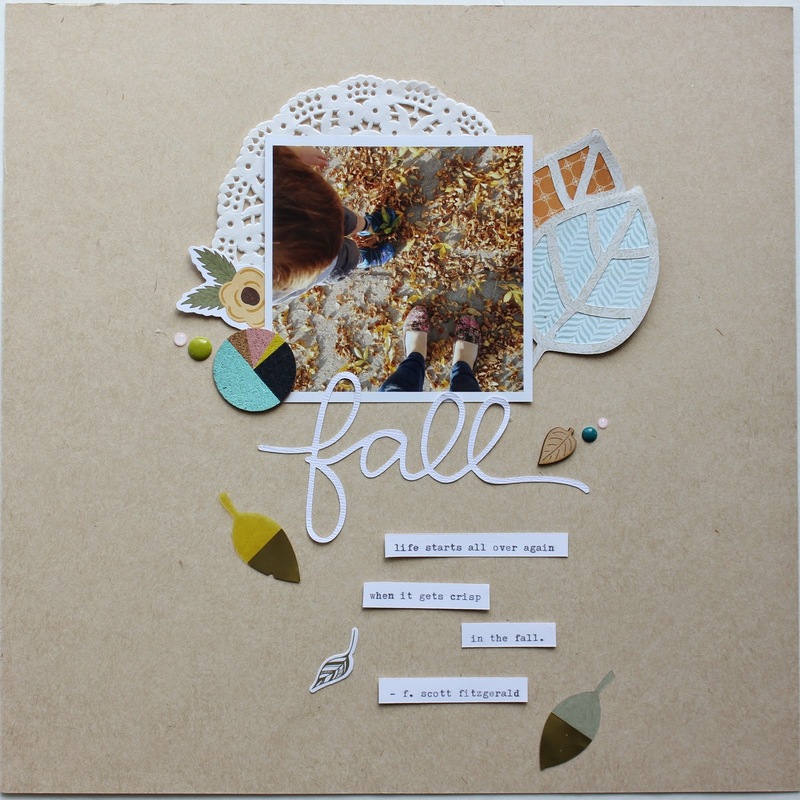 This is the layout I did for my challenge, which was to scraplift a layout. 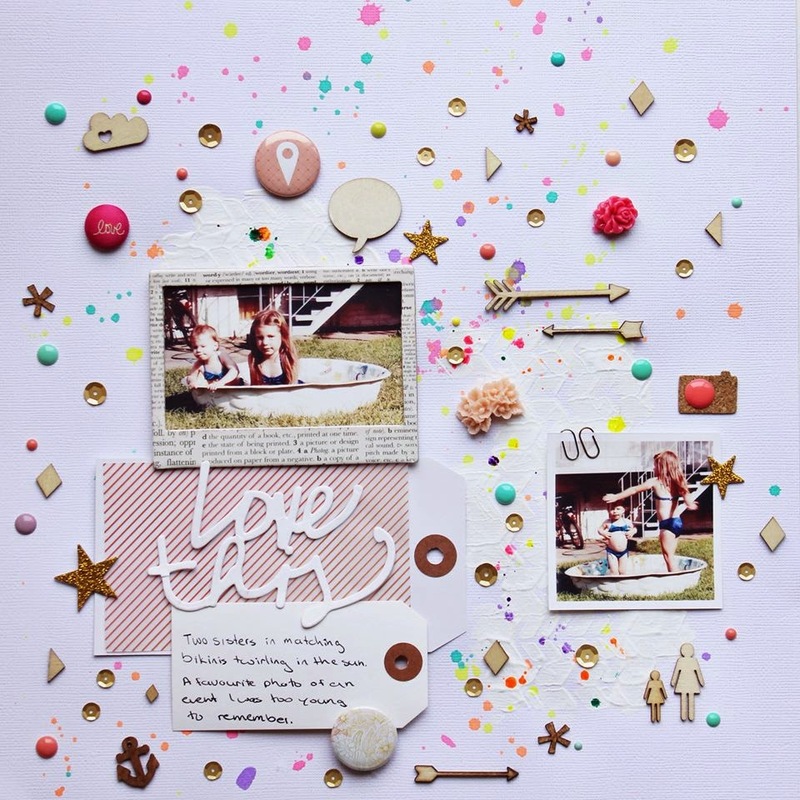 I chose this amazing layout by design team member Leah L'Orange. This was for Becky's free file challenge. I used the November cut files, which I have been dying to try for months now. I made this for Devra's tic tac toe challenge. You were supposed to make a layout using one line of her board, but I loved all the items, so I just decided to use them all. I loved Jen's no card stock challenge. I struggle with always wanting to use white card stock, so it was nice getting a push to break outside my comfort zone. I absolutely adore Jen's sketches. They are always so amazing and this one might be my favourite yet. I used Pinkfresh Studio's new line, Up in the Clouds. I love this line and can't wait to use it a lot more. Sherri's challenge to make it sparkle with gold, silver, glitter or sequins was right up my alley. I used new My Mind's Eye On Trend, with Crate Paper Craft Market and and Pinkfresh Studio Up in the Clouds. There are so many more amazing challenges and I'm hoping to get as many done as I can. 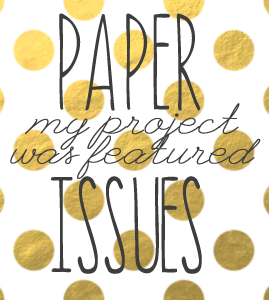 You have until March 29th to link up your projects, so you should definitely play along!